Jo Taylor works in a variety of media on a large scale, in a bold, semi-abstract style. Her organic palette is scoured from the immediate landscape and the elements, inspired by other British artists such as Prunella Clough and Graham Sutherland. 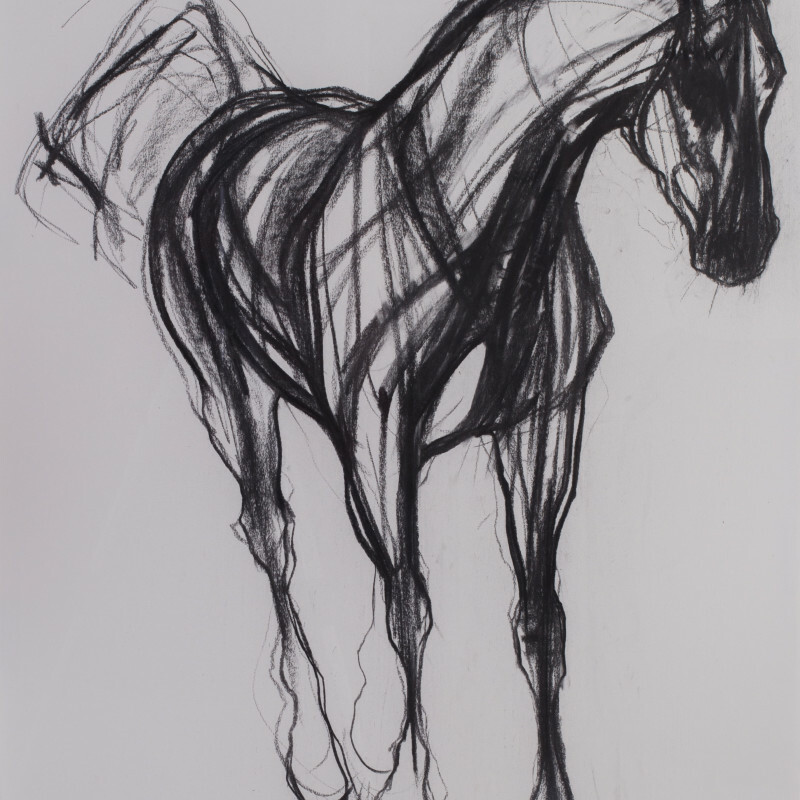 The recurring theme throughout Taylor’s work is the ancient relationship between man, horse and the elements. She echoes Classical and Renaissance masters in celebrating the beauty of the horse whilst exploring its role in the development of human civilisation. Rigorous life drawing and patient observation are the starting points for these visually arresting works. Taylor's residency at Liverpool University’s Department of Veterinary Science was an experience that deepened her understanding of animal physiology. This exceptional knowledge of muscle tension and structure, and the ability to work this into sculptural, dynamic paintings has led to Times art critic Rachel Campbell Johnson to liken her use of anatomy to that of George Stubbs. But it is her own riding and relationship with living horses that allows Taylor to capture the animals’ essential power and presence.